Glencoe's 1995 reissue of the old Aurora 1:48 scale SPAD XIII with all the horrible embossed markings removed and now moulded in a fetching cream plastic. 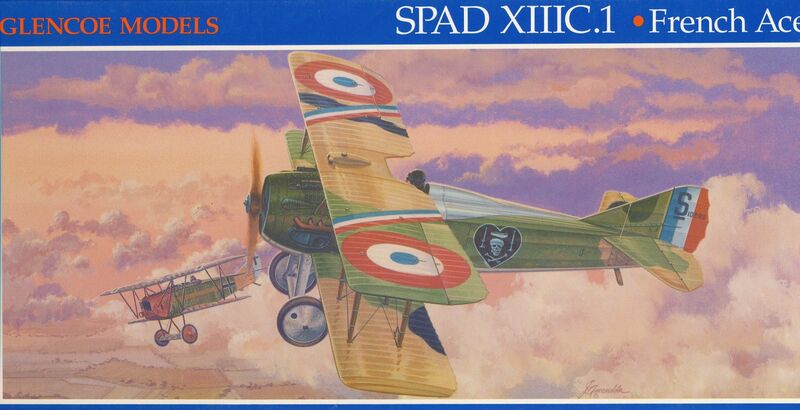 This re-pop includes a really excellent decal sheet for seven French aces and one Italian. Colour profiles under the box provide full documentation for painting.One of the best of the Aurora WWI kits available for the very last time. 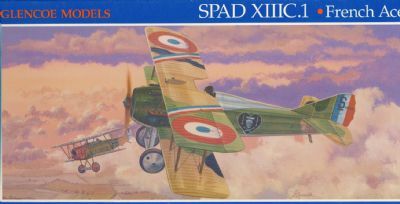 Superb scale plans by Doug Carrick, 66 archive photos, over 30 close-ups, detailed camouflage drawings and a kit survey combine to present an unrivalled one-stop reference on the famous French fighter!.